pawsplay wrote: Her Toughness isn't calculated correctly, I think. I see Stamina 4 + DR 2= 6, unless I missed something. By the way, her Defensive Roll will also drop if she surprised or grappled. As written, she could easily end up with Toughness 0 or even negative with this Complication. My thinking is just to build her up with more levels of Defensive Roll and let her Stamina be lower than expected. Call it The Bucky Effect. These are good point. And yeah, I think Aunt May with an iron skillet could probably knock Tigra out... if she struck by surprise. The " attack from behind = KO" rule was in effect for Greer. pawsplay wrote: DCA doesn't have a lot of "stun" attacks. I don't see the Fortitude part coming into play much except with things like tasers and chi punches. Afflictions seem fairly frequent, and given her track record with guys knocking her out from behind I think those would work. It might be simpler to work her Toughness into DR as suggested and keep a Complication for her Fortitude. That way in game with few Fortitude attacks, well, it'll occupy the place it should. Last edited by Ghostwise on Wed Oct 10, 2012 4:14 pm, edited 1 time in total. JoshuaDunlow wrote: I have to admit, I like your character format, and really dig the Armor build. Though some of the construction on her growth seems iffy to me. The iffiest bit is the Limited. We only see her using Growth in a sustainable manner once - she can't train with it since it's usually Tiring and above PL - but she didn't seem able to see normal-scale stuff like people on the ground. Essentially with the psychic armour expanded to the max she can only deal with giant monsters and large buildings -- other things are too small. IIRC the rest was re-used from GR's Giganta entry. We know so little about her giant armour that I went this way to have something standard. It seems to me that one way to handle Armor's gigantic form is to grant others the benefit of the Shrinking effect with regard to defenses and Stealth equal to the size difference. M&M doesn't normally treat size as symmetric, but perhaps Armor's capabilities could be handled that way. Tigra modified to rely on Defensive Roll, Complication edited. This guy is minor and was rewritten and reillustrated recently, plus he's useful. 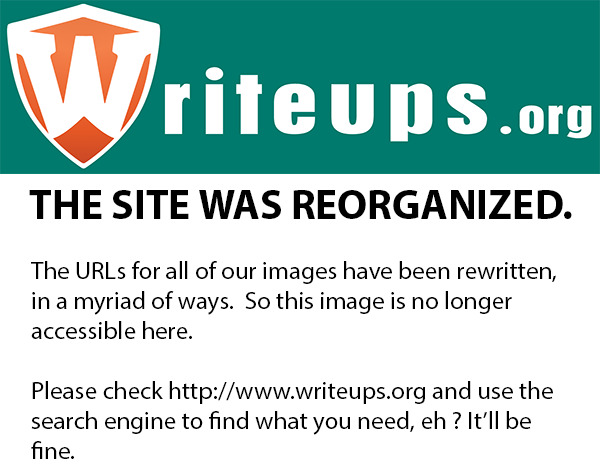 I'm using the projected new format (available from the writeups.org FAQ) though I haven't tested anything yet. It'll probably be less of a bother in any case. Power Loss The Blockbuster suit is not too hard to damage given sufficient force, and one such blow is likely to put the entire suit offline. Point total 104 Abilities 18, Defences 13, Skills 15, Powers 0, Devices 52, Advantages 8. Equiv. PL 7. Time to expand our Marvel coverage? I think so! ** 10/6* versus piercing/slashing, fire, and cold. Patriotism Captain America believes in America, as he believes it can be, opposing not only its enemies but those who would pervert its democracy or spirit for their own ends. Enemies Captain America’s arch enemy is the Red Skull. One Life to Give Rogers has a difficult, almost non-existent personal life. Even his secret identity is subject to sacrifice, if need be. Father Figure Perhaps in part because he has no family of his own, Captain America is driven to train and inspire others. The loss of Bucky and other tragedies that have arisen because of his association are particularly difficult for him to deal with. Vibranium While virtually indestructible, Captain America’s shield could theoretically be destroyed by by impact with another substance that is equally unyielding or atom-crushing energy. Trade-off areas. Attack & Effect PL 13, Dodge/Toughness PL 13, Parry/Toughness 12, Fort & Will PL 12. Point total 240 Abilities 108, Defences 23, Skills 36, Powers 22, Advantages 51. Equiv. PL 16. - During WWII, change his Benefits Advantages to simply Benefit 2 (Military credentials) and Benefit 2 (Popularity). His costume granted only Protection 1 (Limited 3 to slashing/piercing). His original shield had only the Blocking slot and was not Indestructible, and he did not develop Shield Combat until he acquired his iconic round shield. - When Captain America was first revived he suffered Guilt over Bucky's death, even going so far as to sometimes cast his new sidekick Rick Jones in Bucky's image. He eventually laid his original partner's ghost to rest and lost this Drawback. - For a brief period during the 1970s, Captain America had his strength enhanced to superhuman levels (STR 09), which would give him an offensive PL of 14. - There have been times in Cap's career when the effects of the super-soldier serum have been nullified. In these cases the only noticeable effect has been that Cap's STR is reduced to 05 and he has to train harder to maintain his edge, signified by the loss of his Enhanced Advantages. - During the deterioration of his super-soldier serum, Captain America would suffer a condition whenever he rolled equal to or under the current range, on a d20, on a check involving Strength, Agility, Dexterity, Stamina, or Fighting. He could avoid this by minimizing his exertions (i.e. using less than full ranks for the check in question). The range begins at 1, and increases by 1 each time the Complication is triggered. When the range reaches 1-10, all of Captain America’s physical Abilities become weakened by one rank; when the range reaches 1-15, he loses another rank, and whenever this Complication is triggered, he also has his Strength debilitated until he can succeed at a Fortitude check (DC equal to 10 + the current range). 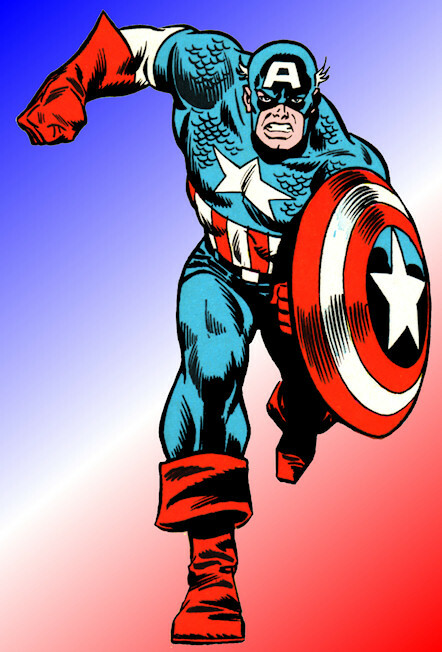 Cap's range eventually reached 20, leaving him with permanently debilitated Strength, though this condition was soon reversed by a blood transfusion from the Red Skull, who had now the same super-soldier serum in his veins and had ended up in the ironic position of needing his enemy's help. - Captain America’s defenses can exceed his stated PL in certain circumstances. His costume includes situational Toughness is not counted. When using his shield to bruntly absorb incoming attacks, his Toughness increases, while his Dodge and Parry are treated as vulnerable. If using this tactic against a close attack that deals fire, cold, or slashing/piercing Damage, his Toughness would be 20 while his Parry would be 8, giving him a defensive PL of 14. Responsibility-- Cyclops keenly experiences the burden of leadership. Aloof-- Cyclops does not easily reveal his true emotions. Power Loss -- Cyclops’s optic blasts can be completely absorbed by a certain spectrum of ruby quartz, which forms the basis of his special visor. Without the visor, his optic blast is always on, which means he has a choice between closing his eyes (making him vision unaware) or releasing uncontrolled blasts, either using his Area slot to point the beam in a particular direction or purposefully focusing on one target (which gives partial concealment to everything else). Without his visor, his optic blasts lose the Accurate and Ricochet bonuses and he cannot benefit from Precise Attack. Trade-off areas. Attack & Effect PL 12, Dodge/Toughness PL 8, Parry/Toughness PL 8, Fort & Will PL 10. Point total 189 Abilities 62, Defences 21, Skills 30, Powers 53, Advantages 23. Equiv. PL 13. - His PL estimates do include his mental defenses, which provide a top tier defense, but not his costume, which offers only a very limited scope of protection. - Cyclops commonly performs power stunts such as Area (cone) attacks and more elaborate ricochets. He can even stunt a less powerful attack, which can be useful if he doesn’t have his visor. Thanks. Roy intends to rebuild the Captain America writeup as a series to better track his variation in competence, but given how damn swamped we all are I think this version of the entry has still some years to live. My questions are about the optic blasts: Does the color we see as Cyclops optic blasts focused through the ruby-quartz lens also somehow color them? For instance, without the visor, would the color be something other than ruby-red, like maybe yellow? Nope, they're red everytime he's shown using them without his visor... which happens a lot. With beams of red energy constantly being emitted from his eyes, how does light of any other colour ever reach his retina? Earth-Two_Kenn wrote: With beams of red energy constantly being emitted from his eyes, how does light of any other colour ever reach his retina? And to top it off, I'm pretty sure he sees the world as a shade of red anyway because of his visor/sunglasses. But the whole distinguishing red from other colors is a neat tidbit to know. Actually the brain of a person whose vision is altered tend to slowly adjust to compensate. For the sake of experiment just try to wear a pair of colore sunglasses for a couple of days, after a hwile you'll start to tell the colors apart, although a slight shade will remain. The Second chance (Detecting ambush) Advantage might be the best way to handle Military Science (Danger recognition) when Uncanny Dodge seems inappropriate. Not sure. Lady Vic will carry up to 20 equipment points in weapons, selected from her arsenal - if using paired weapons, she counts the second weapon as a 1-point Benefit rather than paying the cost again, which is our standard approach for these. The Webleys are Heavy Pistols and everything else is straightforward Equipment, though her shotgun is unusually powerful - Shotgun Blast 6. Professionalism Lady Vic occasionally takes huge risks as she feels she must try her utmost to fulfill her contracts. Point total 114 Abilities 38, Defences 20, Skills 25, Powers 8, Devices 0, Advantages 23. Equiv. PL 8. Lady Vic is one of those characters who perform very well against those lower in the pecking order, but normally against peers and superiors. This is a bit difficult to handle when a d20 is used, hence the heavy-handed "No time for the common rabble" Power. In my campaigns I'd let it exceed PLs given precedents in the rulesbook, and it is thus not counted in her PL computations. Last edited by Ghostwise on Sun Nov 04, 2012 6:32 am, edited 1 time in total.